Great design makes it all come together and can help bring shoppers closer to a purchase. Our experienced design team has worked with top furniture retailers to ensure site graphics, landing pages and banners are designed to drive conversion and convey the brand you’ve built. Whether it is a tentpole holiday event or a product guide to help your shoppers, our design team will help you create special landing pages that speak to your brand and your shoppers. Banner design is fundamental to pulling online shoppers into your brand and keeping them engaged through the buying process. Whether you are driving bottom of the funnel promotions or top of the funnel inspiration, our design team will work with you to create eye-catching, click-worthy banners customized for your brand and the way you do business. Beautiful designs are key, but messaging is critical to sealing the deal. 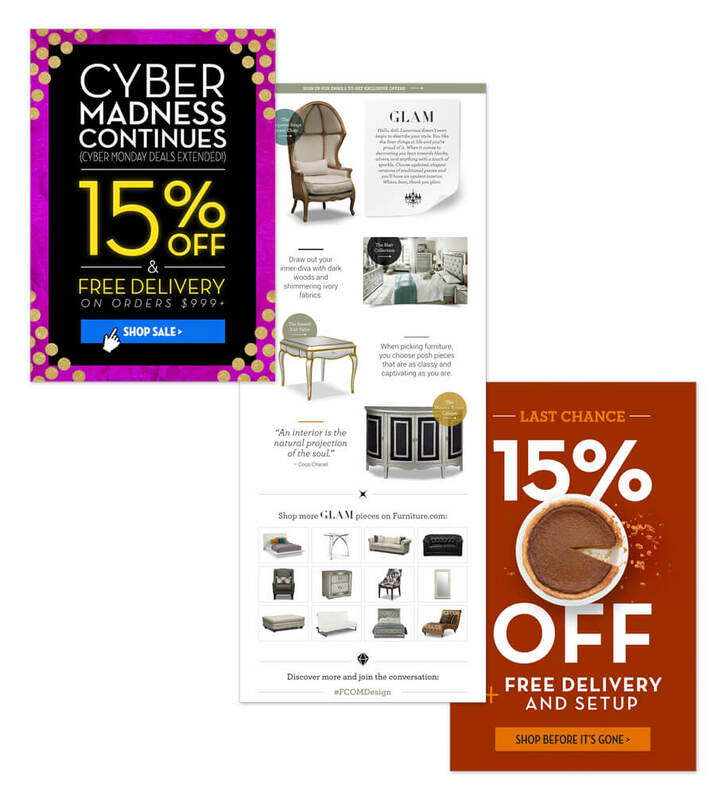 Working with top retailers across the platform, we know what makes a furniture shoppers click and will help you deliver right message to your shoppers.